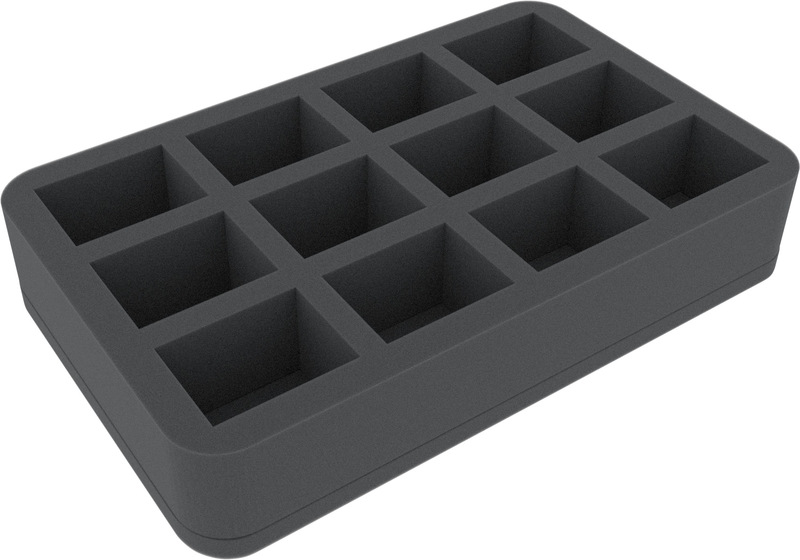 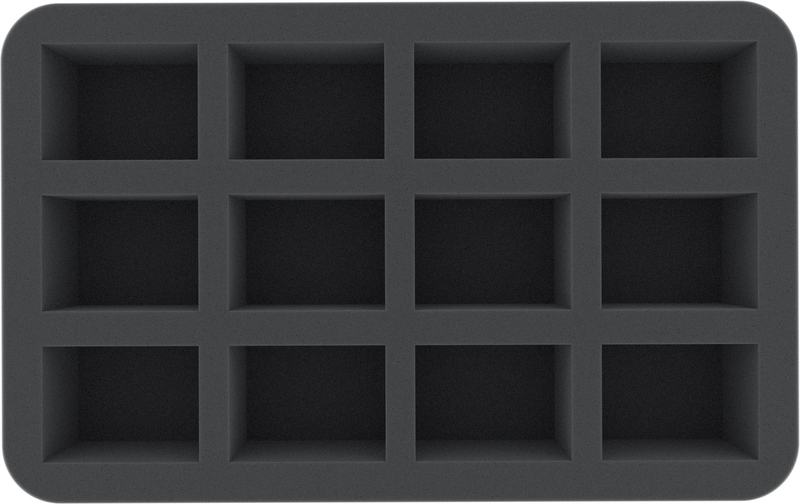 On this Half-Size foam tray you have room for up to 12 miniatures of your troop. 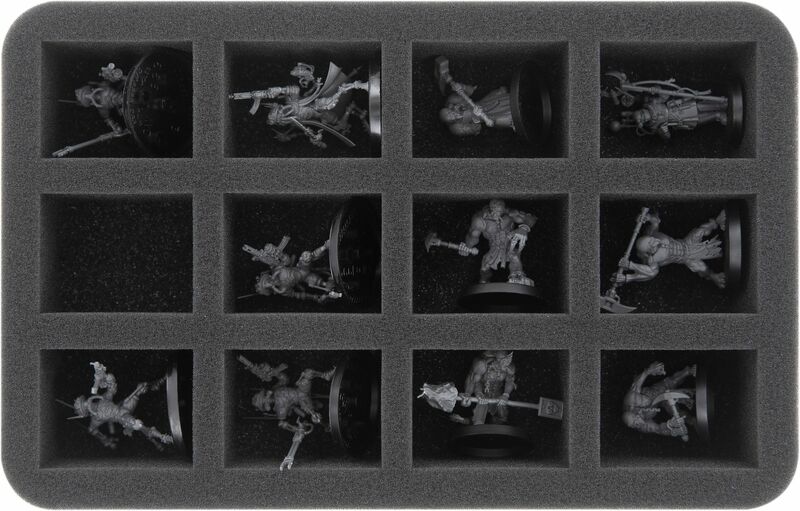 The twelve compartments of the same size are ideal for standard warrior models of the Adeptus Mechanicus on bases up to 40 mm. They are particularly suitable for storing Sicarian Infiltrators/ Ruststalkers, and for miniatures the size of a Tech-Priest Enginseer.